Faucets and Fixtures are an essential part of your home. Whether used in your kitchen or bathroom sink, you don’t want to neglect periodic service and necessary replacements. After all, there is nothing more frustrating than a faucet that drips or sprays or isn’t working properly in any other way. Whenever you are faced with the task of repairing or installing new plumbing fixtures in your home, it is always best to consult a professional plumber with the right experience for the job. You want your Plumbing Fixtures to last for many years to come, without having to worry about any leaks causing problems. At Lightfoot Plumbing, we have the right skills and knowledge to complete the job right the first time. We are proud to served Weatherford TX and the surrounding area for over 33 years, always bringing expert plumbing skills and complete professionalism to every job. Having Trouble With a Leaky Faucet? Leaky Faucets are a common issue for homeowners, and while they may start off as simply bothersome, they can turn into a real problem if left for too long. A slow drip can be a nuisance for anyone, but a larger leak can result in wasted water, a higher utility bill, and even damage to your home. Hard water is a common issue, particularly in Texas. It can cause water leaks because of the calcification in the pipes and faucets, so it is worth taking preventative measures by having a water softener or filtration system installed. If you are experiencing issues with your faucet, or any of the fixtures, be sure to give our team a call. We can handle the job quickly and efficiently, so you won’t have to worry about annoying leaks anymore. There are several reasons for having your faucet and fixtures replaced. 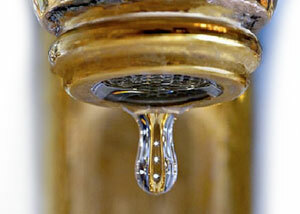 Over the years their condition will deteriorate, leading to a dripping faucet or unsightly, stained fixtures. If you can’t get the issue repaired, then it may be time to go shopping for a new one. Our knowledgeable team is more than happy to assist you when it comes to purchasing a new faucet and fixture for your kitchen or bathroom. We can help you decide on the right equipment for your home, taking into account your existing décor and budget. Not only that, but we can also install your newly purchased products quickly and efficiently. You will be able to enjoy your new faucet and fixtures before you know it. We offer a comprehensive range of faucets and accessories to choose from, so you can find something that will perfectly match your personal taste. Whether you are looking for a compression faucet or a non-compression unit, we can help. Our goods come in a variety of materials, so you can find something that will work well with your bathroom or kitchen. Choose brass units for a more traditional look, which you can find in antiqued, highly polished, or satin versions. If you want something a little more modern, then you may want to consider a chrome version. You can get these in a brushed finish, matte finish or brilliantly polished finish to perfectly suit your home. With our faucets and fixtures, you won’t have to compromise on quality or style. Get professional faucet and fixture sales, installations, and repairs from Lightfoot Plumbing. 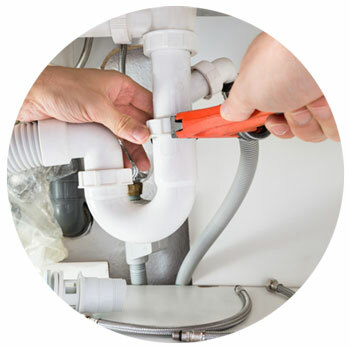 We have been in the plumbing business since 1983 and can provide a variety of plumbing services to suit your needs. Our expert plumbers are available 24/7 to take your call. We can quickly and efficiently fix your Leaky Faucets and handle your questions to help solve any plumbing issues you may have. We are fully committed to taking great care of your home so you can enjoy your faucet and fixtures for many more years.